As you can guess from the very title of this new release, Royal Detective: The Princess Returns Collector's Edition is about the princess coming back to the scene in the Royal Detective series. This new game places a new challenge in front of you as a detective. The princess's peaceful life has come to an end and she needs your help! One thing that needs to be said up front is that you are going to have a dog helper. If you are familiar with the previous games of this series, you know all the drama the princess has gone through. The last time we saw her, she was finally over all of it turning a new page of her life. In this new game though, the first thing you see is the princess's dog with a letter from her asking for your help. Her dog is going to take you to a place to meet with her boyfriend, a prince. By the time you arrive, she goes missing. You need to find the one behind it before she is hurt and loses her magic powers. The game's story is a bit like a chick flick-ish. Some players are going to appreciate it though. One thing that needs to be said up front is that you are going to have a dog helper. So if that's a deal breaker for you, you can stop reading this review now and move on to a different game. The game's audio-visual presentation is excellent (too much purple and blue in some scenes but it seems to be a common thing these days). The voice overs and the music are done well. There is a bonus chapter to keep the fun going. The teen love will eventually conquer all and bring the happy ending. 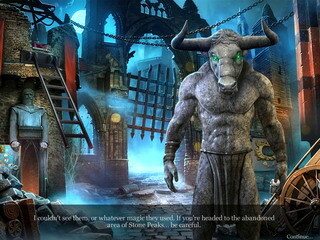 Neither the hidden object scenes nor the mini-games are going to offer you anything you have not seen before. But you can still enjoy both. 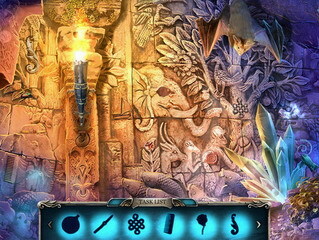 Some of the mini-games offer a decent challenge level and might take quite some time to be solved. 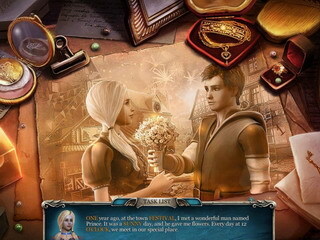 Some of the HO scenes and mini-games are available for replay. There are 14 dogs to collect and 30 morphing objects to find. The game has a generous amount of achievements to earn, 20. And you get media extras as part of the Collector's Edition. Royal Detective: The Princess Returns Collector's Edition is a great game for its audience! This is Royal Detective: The Princess Returns review. Download this game here.